Belt Technologies provided a producer of plastic resins with a new, solid metal conveyor belt for their automated extruder. Belt Technologies provided a medical OEM with custom stainless steel belts for secure, automated pill dispenser cabinets. 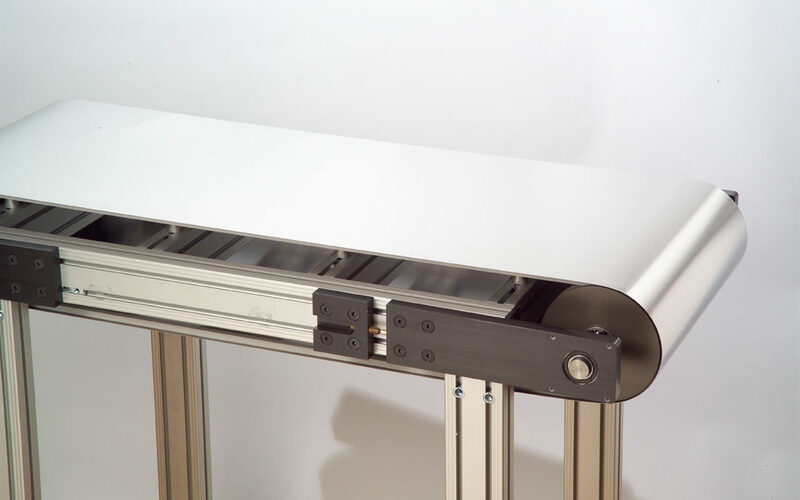 Wide stainless steel conveyor belts by Belt Technologies can be customized for virtually any manufacturing application. A recent project included custom perforations for and specialized attachments for automated zip tie production. Belt Technologies engineers provided a custom designed stainless steel conveyor belt with unique product handling attachments for the clean and safe manufacturing of electrical connector components. Belt Technologies engineers have the ability to produce replacement conveyor belts and drive tapes for industrial spray paint machines. Belt Technologies provided an OEM producing lithium batteries with a high-speed indexing belt of stainless steel with vacuum perforations. Belt Technologies produces wide stainless steel belts for complex automated assembly equipment with features such as laser cut perforations. Belt Technologies produces stainless steel belts including custom drive tapes for pharmaceutical applications, such as vaccine production.